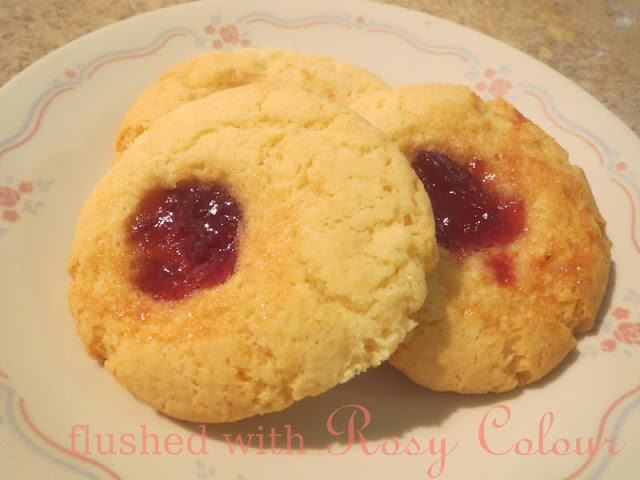 I found this easy jam drop biscuit recipe on taste.com.au. The hardest part to making them was getting the electric mixer out of the cupboard! I rolled the teaspoon sized balls a bit big and they spread out quite a lot, so next time I must remember to make smaller balls. The biscuit recipe is really yummy, and with a bit of my favourite strawberry jam these jam drops were delicious! To make them dairy-free I just used nuttelex instead of butter!